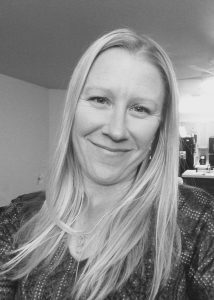 Jessica completed her massage and reflexology training at Healing Arts Institute in Fort Collins in 2012. Her approach to healing starts with educating and bringing awareness to her clients about the stress patterns that occur in the body. She is passionate about facilitating change in her clients by helping them interrupt the patterns that lead to imbalance and pain. She specializes in Integrative Neuromuscular Therapy for TMJD, Whiplash, headaches and Scoliosis. She also offers Deep Tissue, Reflexology and Swedish Massage and often incorporates heat and ice therapy in her sessions. She has successfully treated clients suffering from low back pain, headaches, sciatica, plantar fasciitis and thoracic outlet syndrome. From athletes to pregnant mothers, she will create a therapy session to meet your specific needs today. When she’s not massaging, Jessica enjoys yoga, gardening, camping, hiking and spending time with her son and friends.